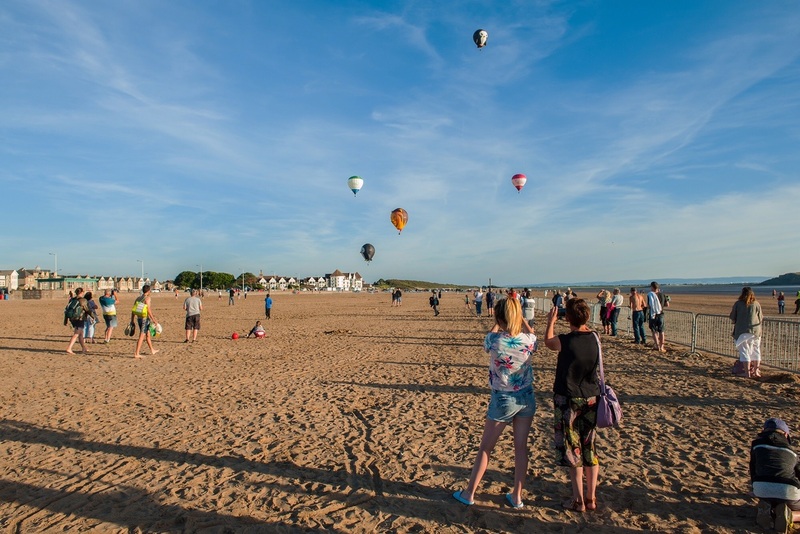 The first ‘Balloons On The Beach’ hot air balloon mass launch was a huge success this evening! 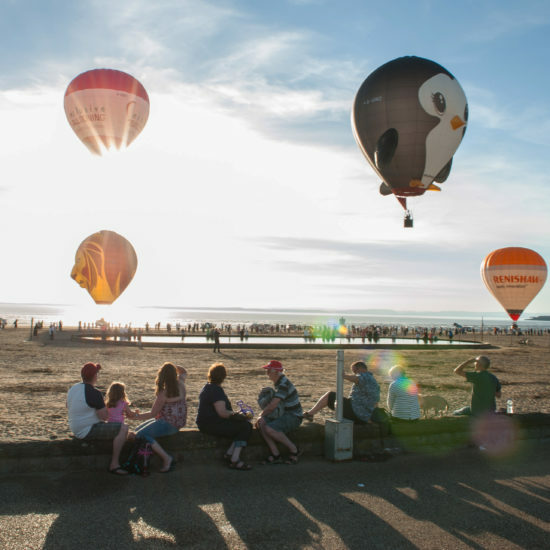 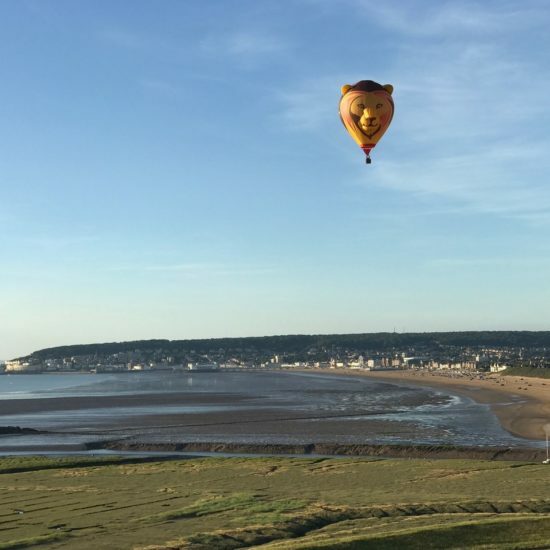 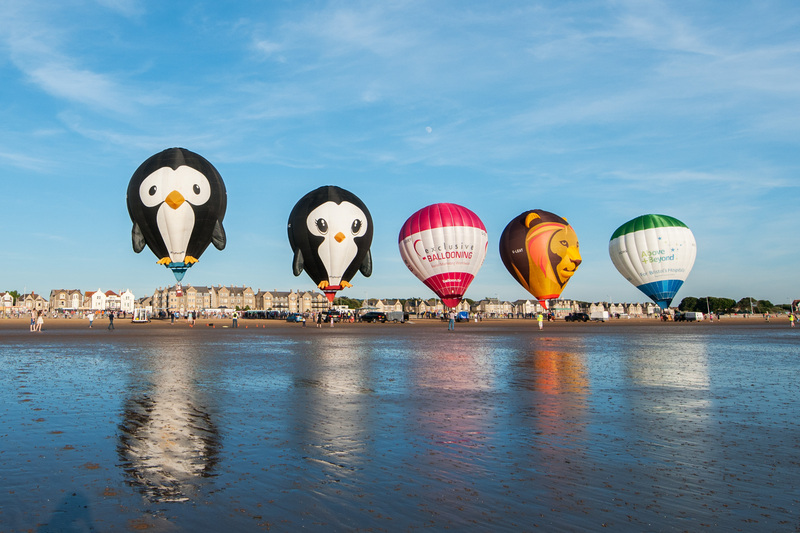 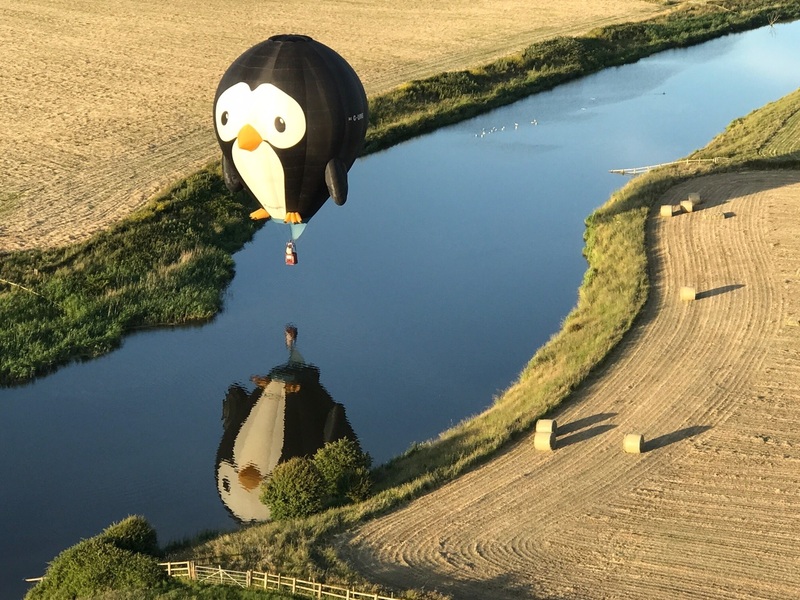 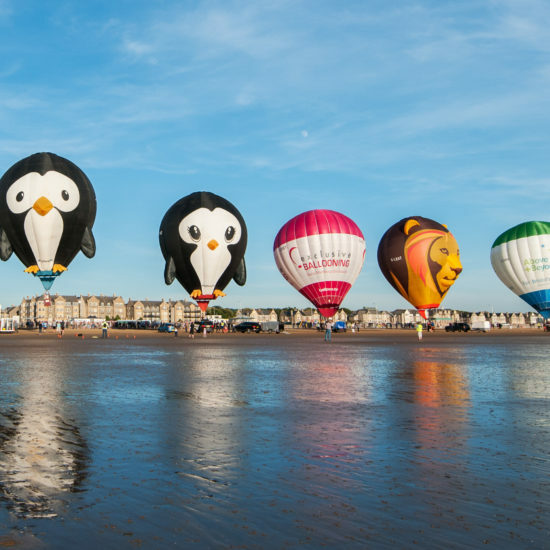 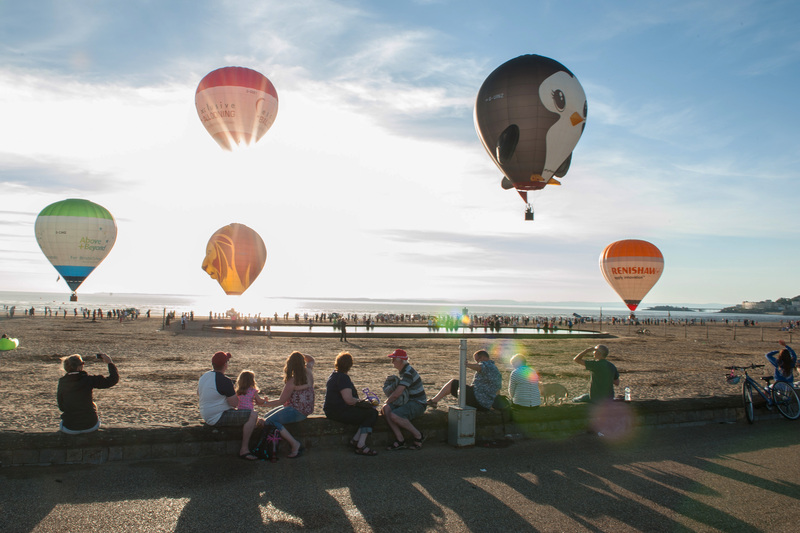 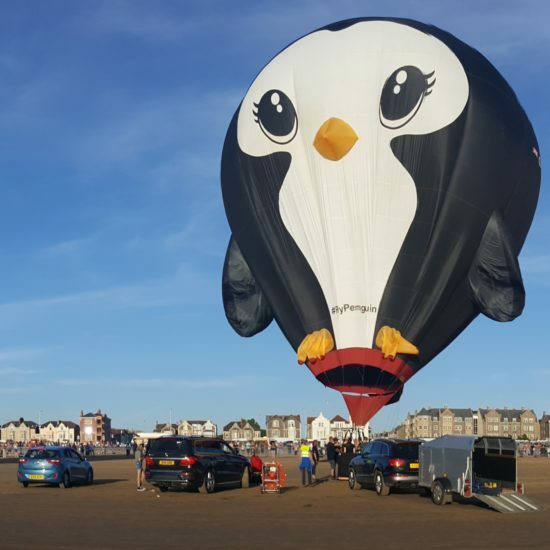 Six hot air balloons, including two special shape penguins and a lion, took off from Weston-super-Mare beach at 8pm and floated down the seafront to the delight of the crowds. 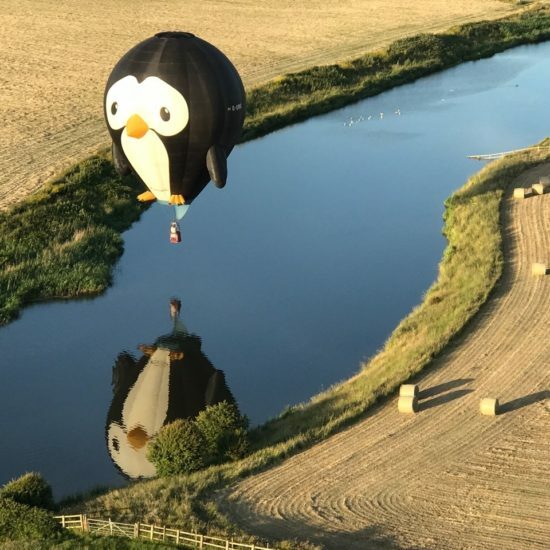 This launch is to help promote our new event which will take place on November 17th and also a fabulous showcase for our #SkySafari event in September at Longleat Safari Park, where you can once again see Puddles and Splash. 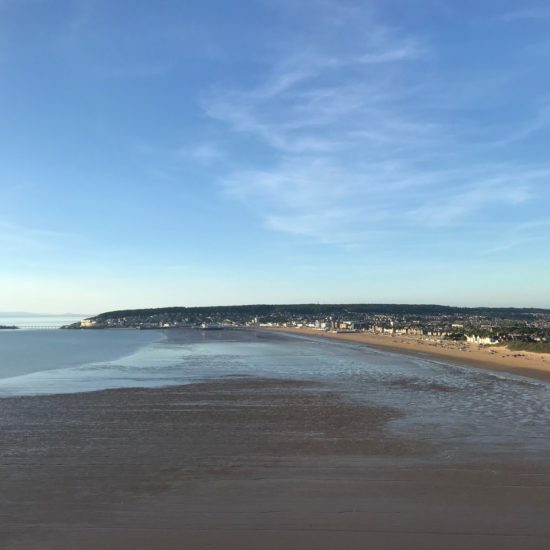 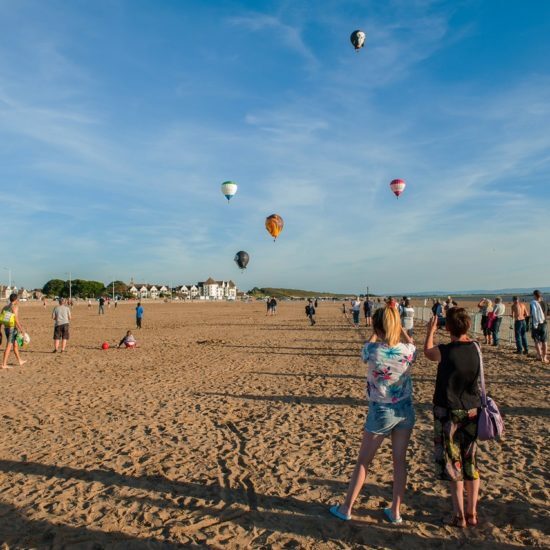 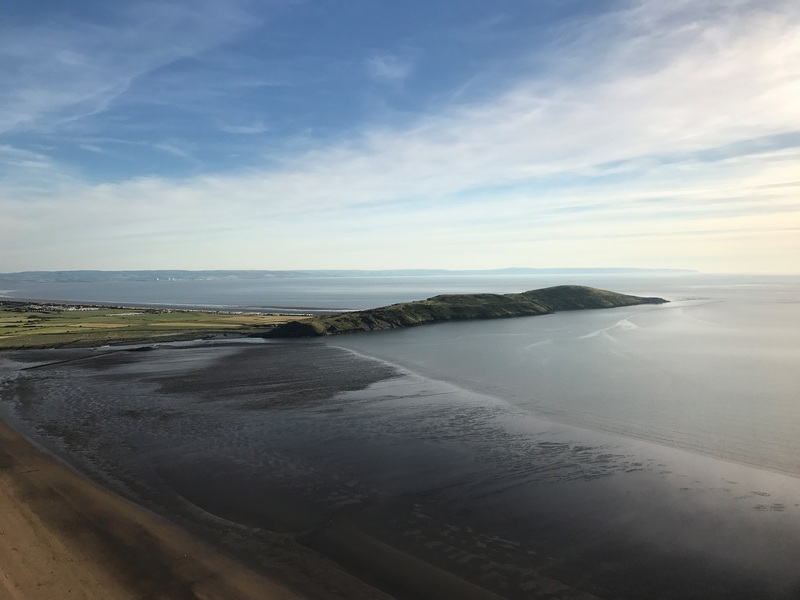 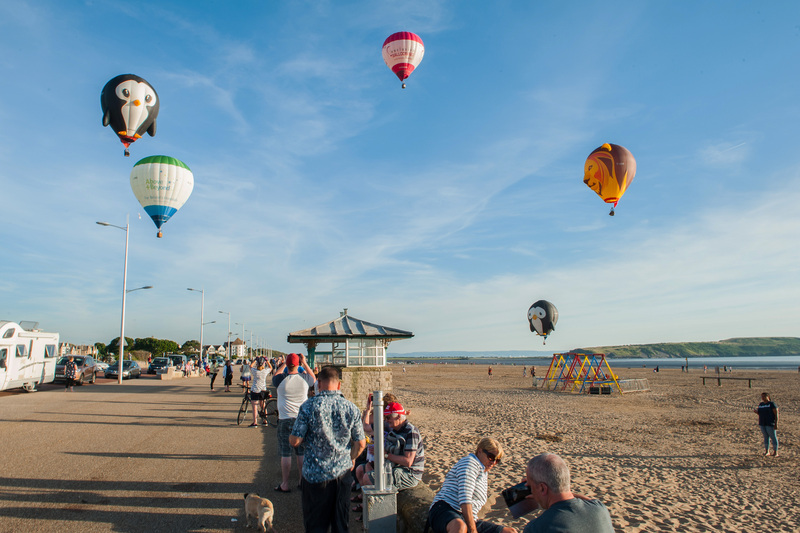 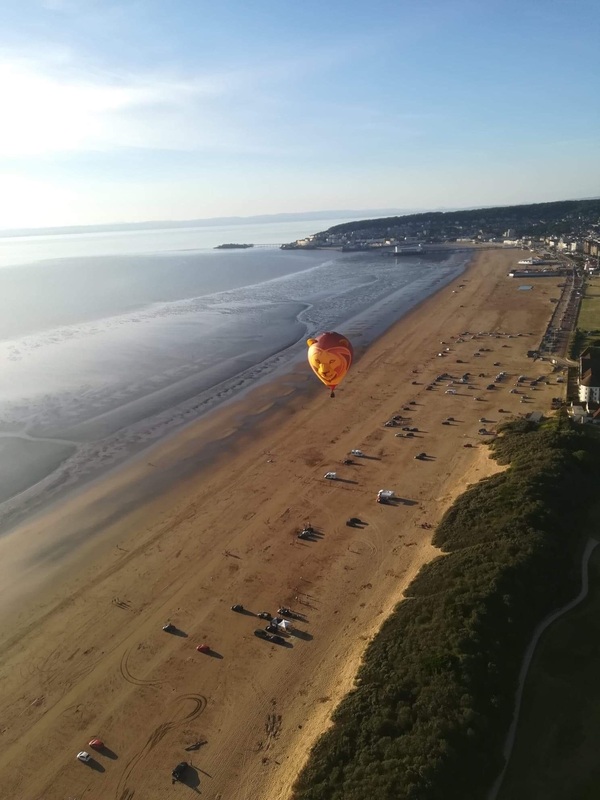 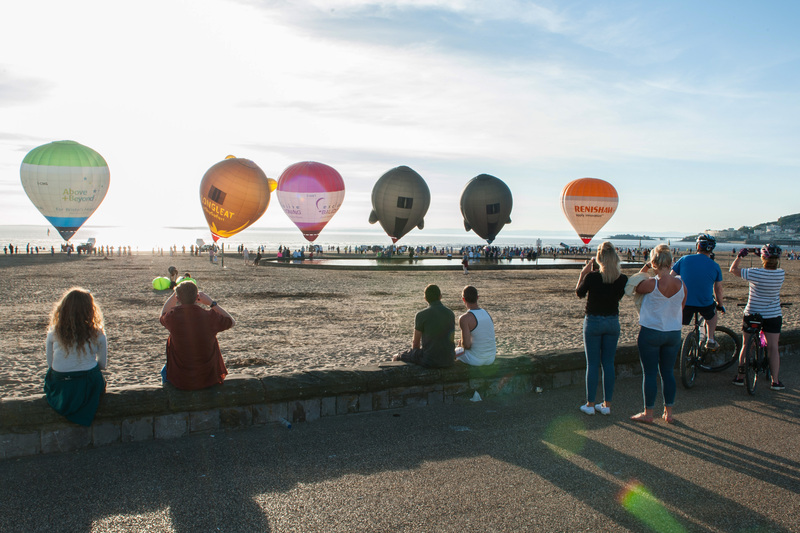 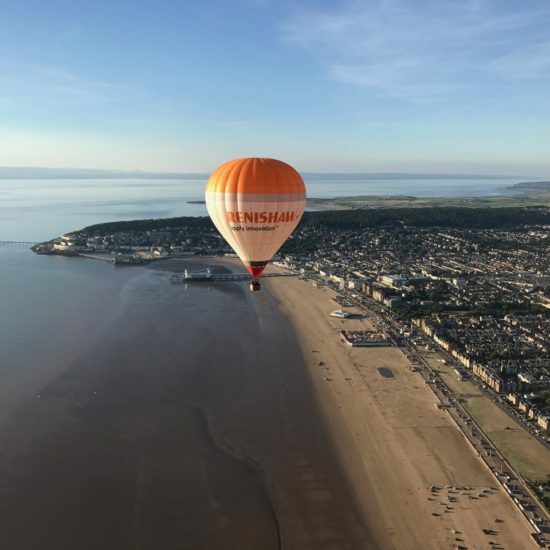 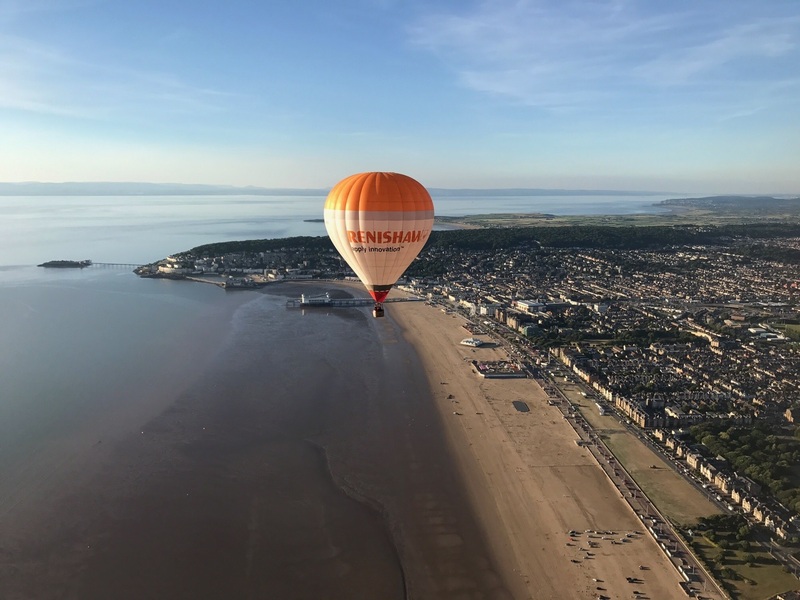 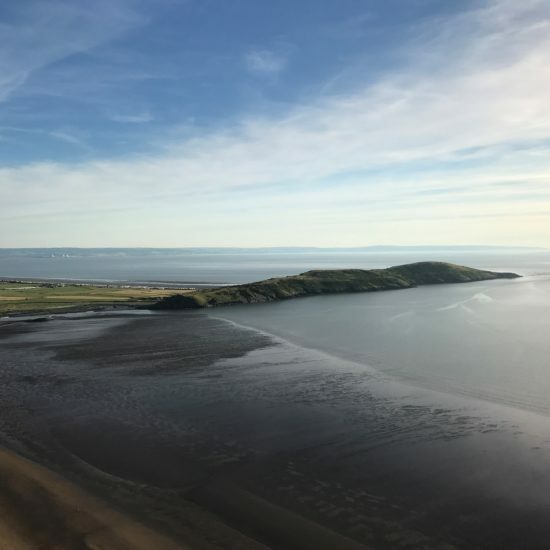 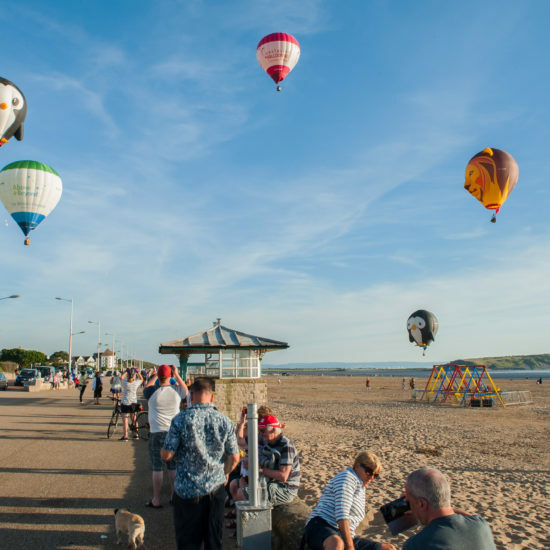 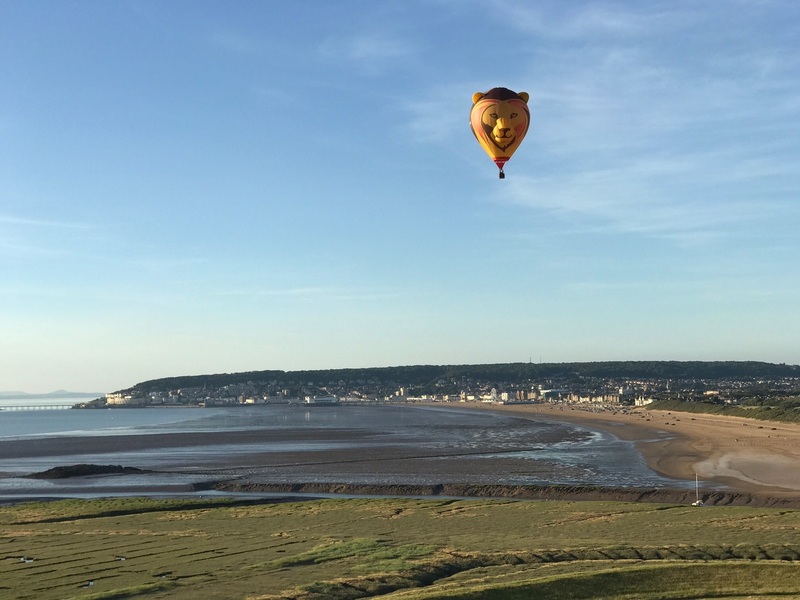 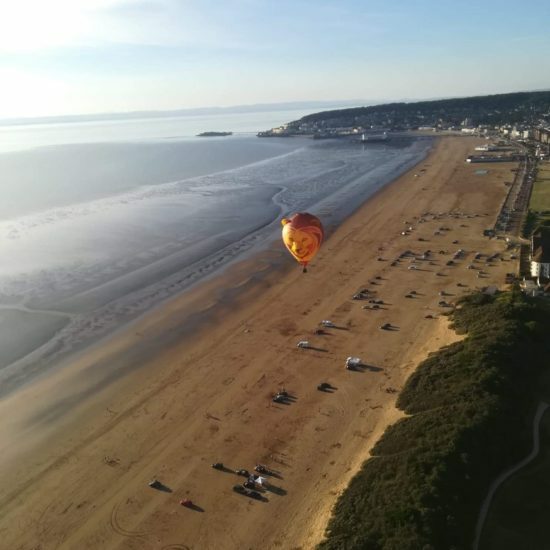 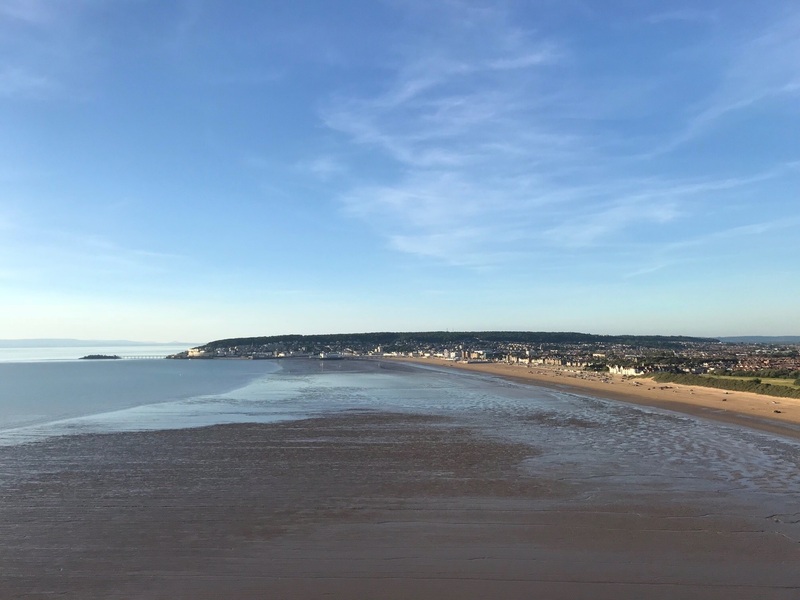 After a successful first balloon flight from the seafront earlier this month, we have continued to work with our friends at North Somerset Council and recently officially announced the new free event for Weston-super-Mare – ‘Balloons On The Beach’. 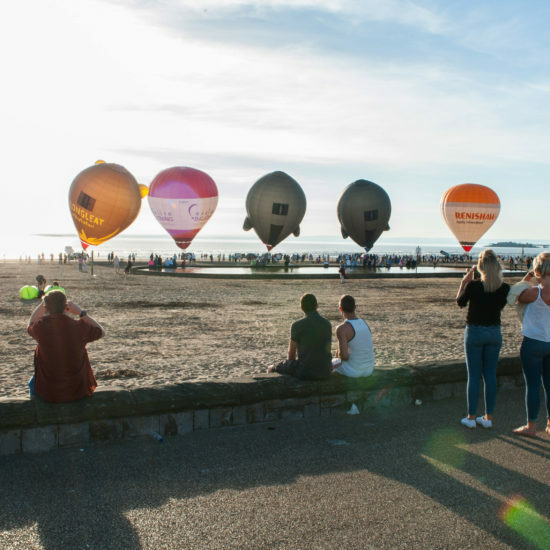 The main event will include a stunning choreographed light show using balloons glowing to the music and will take place in November this year.